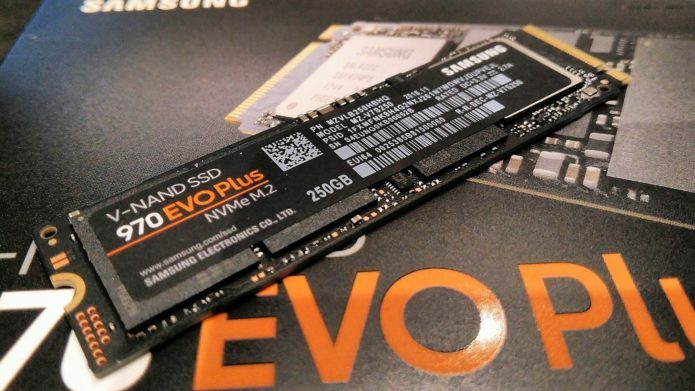 Samsung’s 970 EVO has always been the fastest of the low-priced NVMe SSDs, and the company’s new 970 EVO Plus, announced Tuesday, further cements that position. Samsung claims up to a 57 percent increase in performance for the Plus over the older 970 EVO. I didn’t see quite that, but sustained writes when the drive was using its SLC cache increased by 10 percent, and jumped by a very welcome 42 percent when writing to the main body of TLC NAND.